The revitalised D4i Novo features a new silicone strap and surround. The vibrant new colour options make this continuous decompression wrist dive computer really stands out. At only 85 grams this is one of the lightest computers on the market. 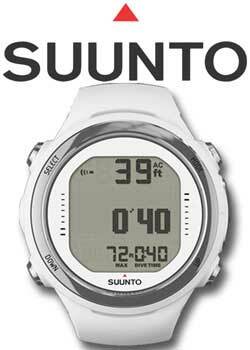 It boasts 4 modes: (freedive, air, nitrox and watch), dive planner, updatable firmware, downloadable dive logs and optional air integration (with the addition of a Suunto transmitter). This computer is robust, stylish and does everything the recreational diver could want. It is the ideal accompaniment to all your adventures in the big blue.